The NFL Combine is a workout camp where NFL draft prospects exercise in front of NFL scouts and coaches.It’s hugely influential even though the vast majority of the drills only have a tangential relationship to the game of football. 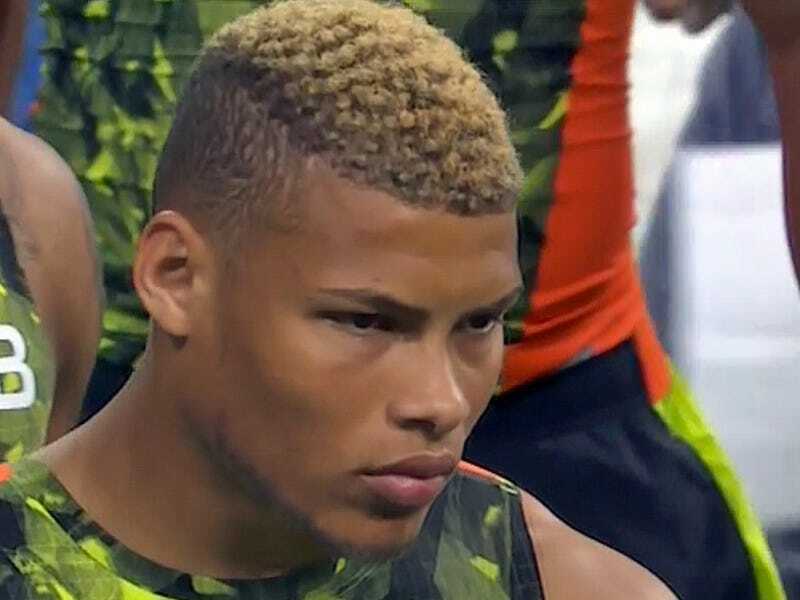 Tyrann Mathieu — the former LSU Heisman Trophy finalist who was kicked off the team for using marijuana — only bench-pressed 225 pounds four times yesterday. That number tied for the weakest weight-lifting showing of any defensive back at the Combine. Even though bench pressing is meaningless when it comes to playing cornerback, the NFL world was extremely disappointed. The twisted logic here: Even though the bench press is irrelevant, it reflects poorly on Mathieu that he didn’t work harder at the bench press, which is irrelevant. Tyrann Mathieu about to run his 40 at #NFLCombine. Had just four bench reps and needs to run well today. Instinctive player good on returns. This is the stupidity of the NFL Combine in a nutshell. The point of the Combine is to do well at the Combine. Everyone, like Smith, concedes that the drills themselves are “irrelevant.” But at the same time the drills come to represent something incredibly meaningful to NFL insiders. Suddenly the bench press at the NFL Combine isn’t about judging strength, it’s about judging “work ethic” — which is actually more important than strength. Since the drills themselves tell you nothing from an objective football standpoint, you make the drills stand-ins for something the they were never meant to quantify. Last year linebacker Vontaze Burfict — a standout at Arizona State — did horribly at the Combine. He was slow and out of shape and petulant, and he went undrafted as basically a direct result of being awful at these drills. Eight months later, he was starting for the Bengals and playing better than any linebacker on the team. NFL commentators take banal exercises and construct false (yet meaningful) narratives out of them at the Combine. In reality, the fact that Mathieu can’t lift weights well means nothing. But in the context of the Combine, it will legitimately affect on NFL people view him, which is awful.